Apis mellifera carnica is autochthonous over a wide area of Central Europe: in the entire territory of Slovenia, in a small part of northern Italy, in the eastern part of the Carnian Apls, in a considerable part of Austria (Carinthia, Styria, Lower Austria, the Province of Burgenland), in most of Hungary, one part of Rumania, Serbia and Montenegro, Bosnia and Herzegovina, and Croatia. 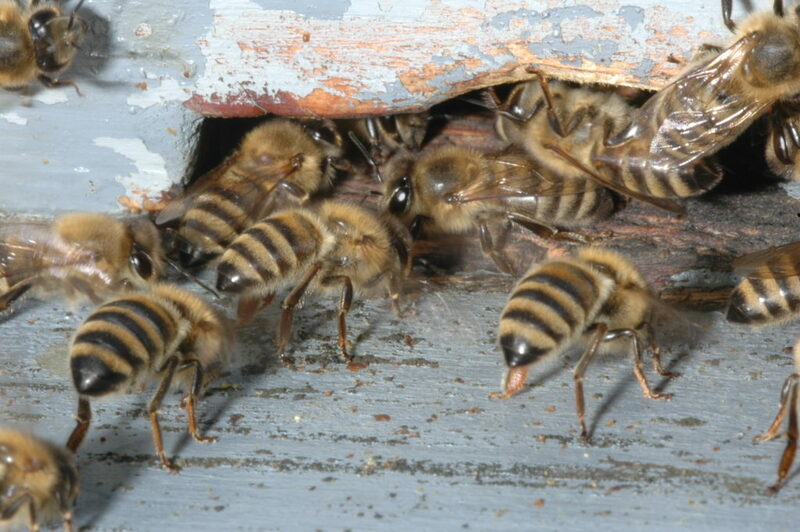 Slovene beekeepers also fondly call it the “grizzly” because of the bright grey hair along the edges of its abdomen. Its basic characteristics include an excellent sense of orientation, diligence and gentleness. In terms of these features it is superior to all other races of bees. In 1857 Emil Ravenegg Rotschutz (1836-1909) sent bee colonies from Višnja gora, Carniolan province, to Eichstadt, Germany. The experiences of German beekeepers with bees from Carniolan province were so good that they demanded more and more of these bee colonies. News of the gentle character of the grey bee soon spread to other nations. In Central Europe the aggressive dark species, Apis mellifera mellifera, was endemic. Soon new branches of beekeeping business were established. Following this new activity in beekeeping, beekeepers reoriented their bee management into the production of additional bee swarms. Honey production became only a sideline product for some beekeepers (Rihar 1998). Public opinion from that time supported the attitude of Slovene beekeepers: “we are the breeders of Carniolan bee and we should be proud of our bee”. Native bees really penetrated in the subconscience of the beekeepers at that time. Between the period from 1857 and the end of World War I, it is documented that specialised Slovene merchants exported at least 170.000 swarms; according to some estimates the number is even as high as 500.000. In many places they completely superseded the native dark bee. Today, their work is being continued by honeybee queen breeders, who sell approximately 40.000 queens, mostly to the countries of Central and Western Europe, with exports increasing annually. The climate and foraging conditions of the Slovene area have influenced the establishment of the bee race for centuries. It tolerates cold, snowy winters, frequent rainy and windy summers and makes good use of the available forage. One of its beneficial characteristics is its ability to locate honey dew flow much easier than other races of bees. It is therefore perfectly adapted to pasture on conifers. It also a well developed hygienic behaviour which makes it less prone to some diseases. 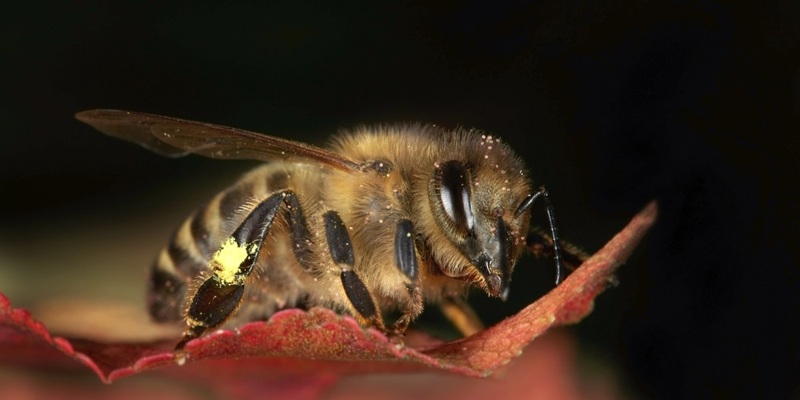 The Carniolian bee spends its winters in a small cluster with a relatively modest food supply, but its development in spring is abrupt, and colonies sometimes reach their peak as early as May. Such a rapid build-up often takes beekeepers by surprise, and if they do not provide their bees with enough space for storing honey, the swarming may soon begin. The inclination towards swarming is not a desired quality in the bees of large, commercially-oriented beekeepers. By appropriate selection and breeding, experts at the Agricultural Institute of Slovenia in Ljubljana are determined to select bee colonies which are less inclined to swarm and are thus acceptable for more demanding bee buyers around the world.